Appointment Confirmations: Which Methods Do Patients Prefer? 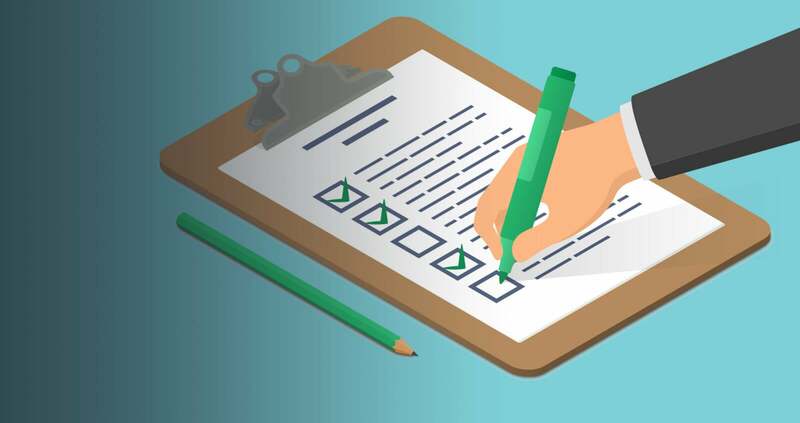 This is the first in a series of three blog posts about patients’ habits and preferences related to appointments and referrals, covering such topics as patients’ preferred method of scheduling appointments and how often they follow through on referrals. 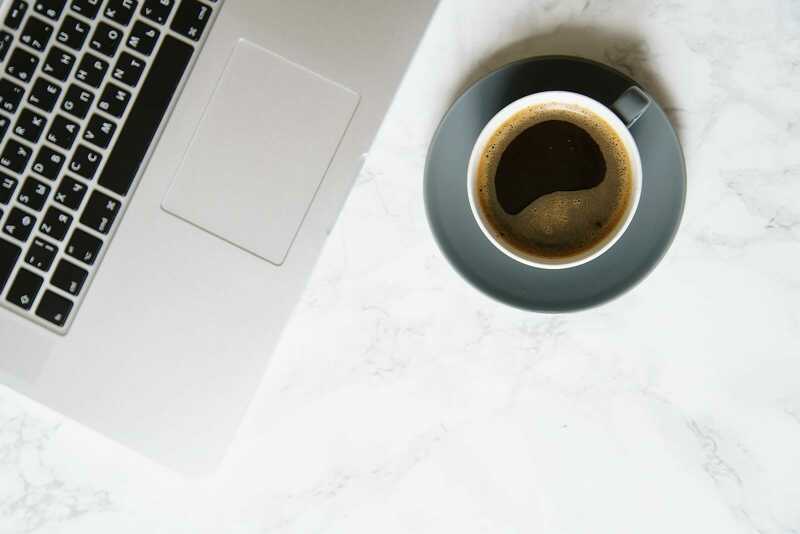 The data featured in this blog series is based on survey responses from nearly 14,000 patients across Phreesia’s network. 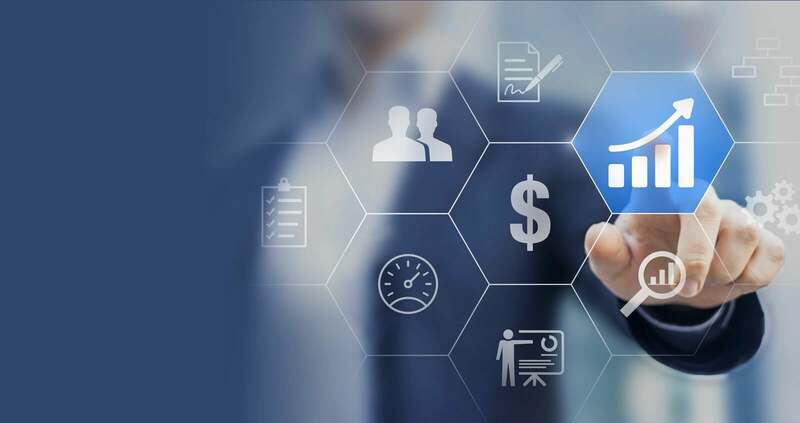 As consumerism continues to reshape the healthcare landscape, many provider organizations are looking for ways to provide the convenience, flexibility and other service-oriented features their patients are accustomed to experiencing in other industries, such as retail and banking. But without good data about what patients prefer—and what their current habits are—making changes often involves little more than guesswork. Take appointment reminders, for instance. There are a range of ways to remind patients about an upcoming appointment, such as a postcard sent through the mail or a phone call. Research has shown that patients like using technology-enabled tools for these types of processes. In a 2017 McKinsey & Company survey, the majority of respondents said they wanted digital solutions at each step of the healthcare journey. Still, some practices worry that their patients—in particular, their older patients—will be slow to adopt new technology. According to Phreesia’s survey of nearly 14,000 patients, those concerns are unfounded. 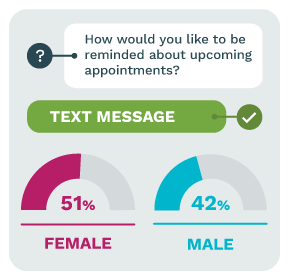 When asked how they would like to be reminded about upcoming appointments, 48% of respondents said they prefer text message. That’s compared with 29% who said they prefer a phone call and 21% who prefer an email reminder. 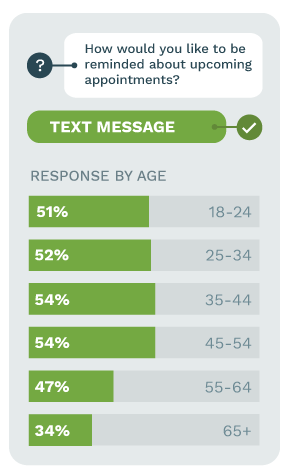 The percentage of patients who preferred text message reminders hovered close to the 50% mark across age groups—51% among respondents ages 18 to 24, 52% among those ages 25 to 34, 54% among those 35 to 44, 54% among those ages 45 to 54, and 47% among respondents ages 55 to 64. Interestingly, 51% of women surveyed said they prefer to be reminded about an upcoming appointment via text message, while 42% of men said they prefer text message reminders. Those preferences are especially important since, according to the U.S. Department of Labor, women often serve as the primary healthcare decision-maker in households, making 80% of healthcare decisions. When patients who took the survey were asked what method they preferred to use to cancel or reschedule an appointment, nearly a quarter of patients said a text message, while 64% said they preferred a phone call. 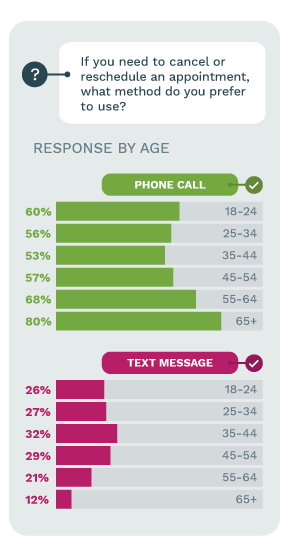 Just as with appointment reminders, patients under 65 were more likely to choose text message, but those preferences are clearly evolving. Among patients 65 and older, 12% said they preferred to schedule or cancel and appointment via text, but that percentage jumped to 21% among respondents ages 55 to 64, 29% among those 45 to 54, and 32% among respondents ages 35 to 44. Those data points align with past research that shows patients like using text messages to communicate and that texting is an effective way to engage them in their care. What are the takeaways from this portion of the survey data? Patients’ growing preference for text messaging means that healthcare organizations should leverage that enthusiasm to improve communication and drive engagement. Offering text message appointment reminders and allowing patients to cancel and reschedule via text can streamline processes, reduce staff workload and decrease the likelihood of no-shows while giving patients the experience they want.